Disclaimer: This post contains affiliate links. Go here for my full policies disclosure. 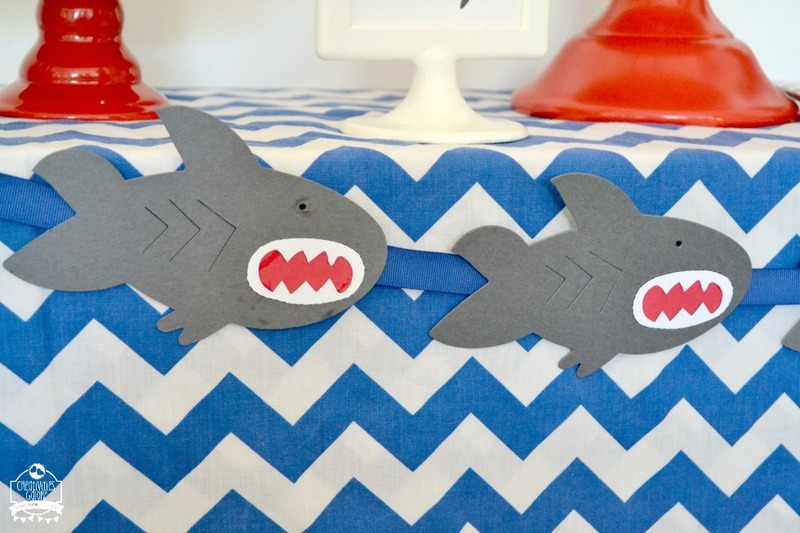 The first thing I created was this shark banner and that set the tone for the party. To make the shark banner I used the Shark Bigz Die designed by Laura Kelly. 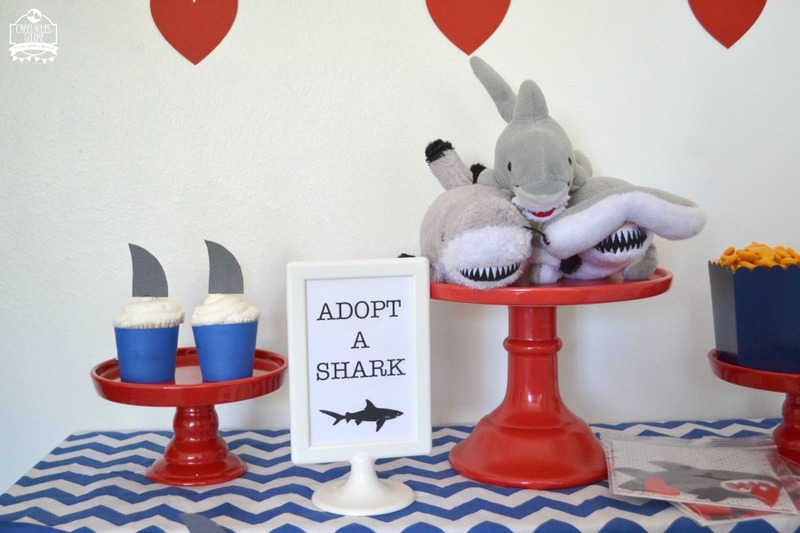 I set up a “adopt a shark” station which was at the center of the table. 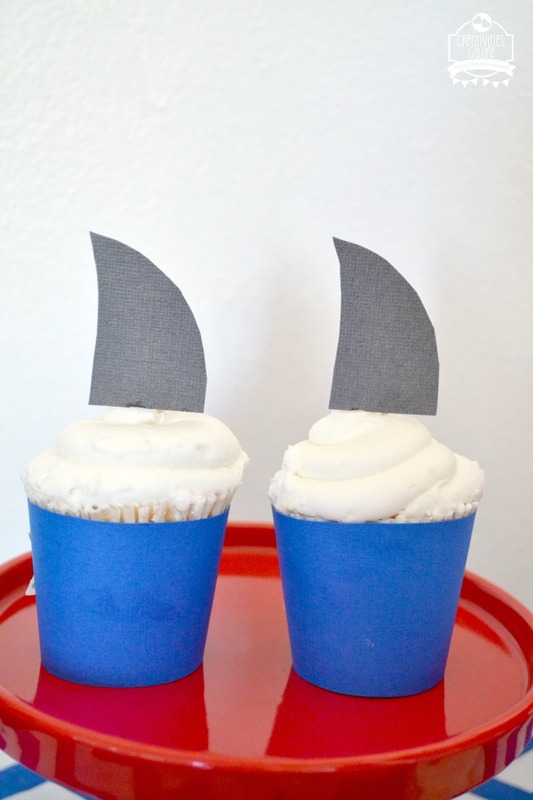 To decorate simple cupcakes I placed them inside blue cupcake wrappers and then topped them with a shark fin that I just free hand cut out of grey card stock. 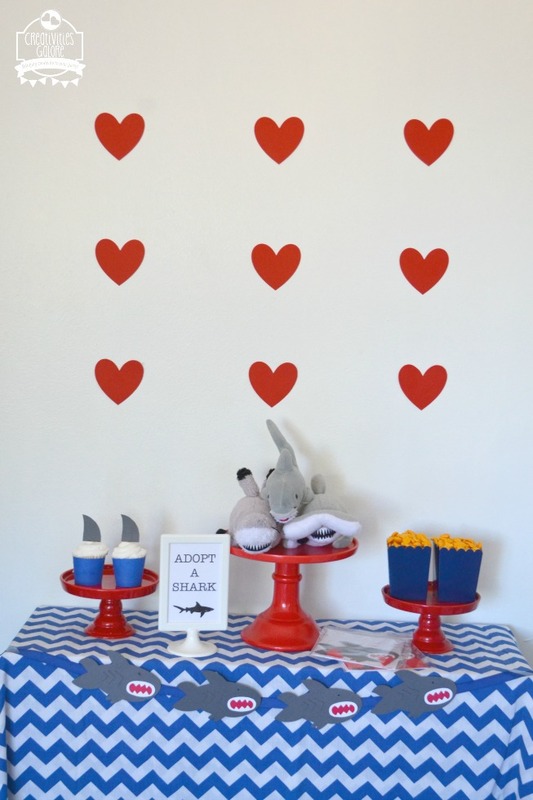 For an activity that my sons could do during the party I made shark valentine card kits. They were able to each get a card kit and decorate their own card which they will then give to a special person on Valentine’s Day. 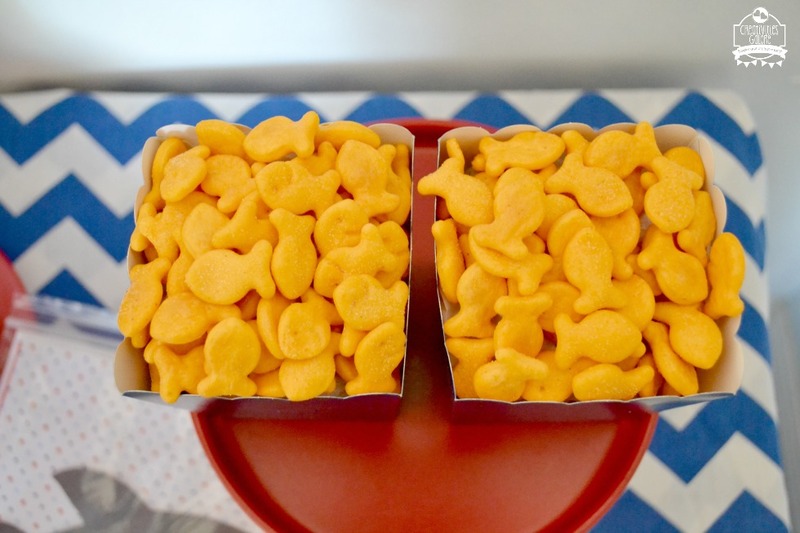 A simple snack that you can serve at a shark party is some Goldfish crackers, I poured some into mini popcorn boxes. Last but not least was my backdrop, it was simple but I loved how it turned out. I just taped some heart cutouts onto the wall and that gave the party set up a Valentine’s Day feel. 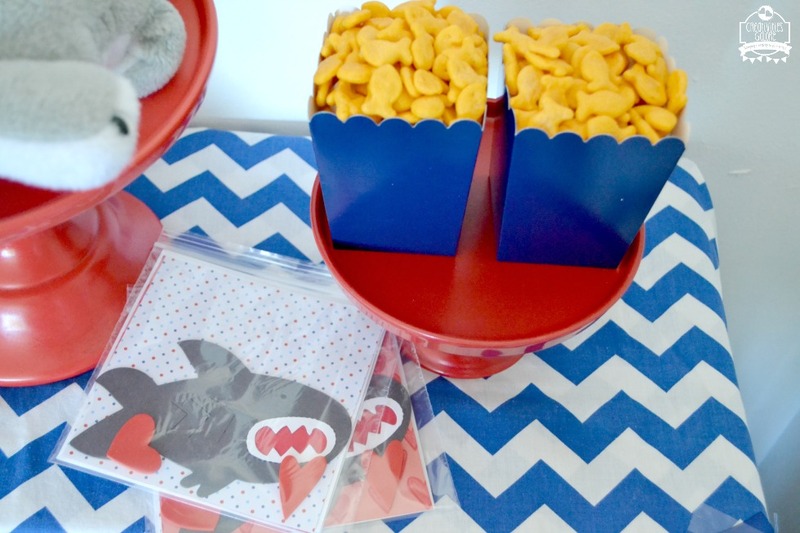 For more shark party inspiration check out this party I did for my boys to kick off Shark Week and I also created a fun video for it. 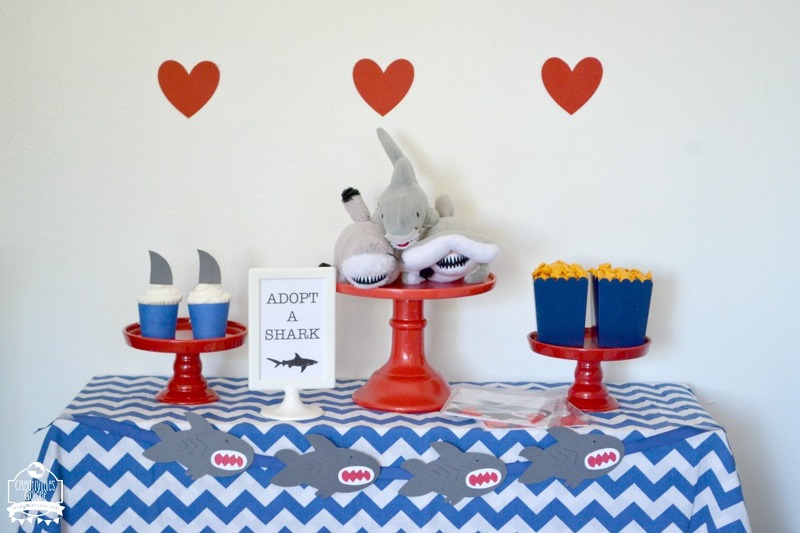 I hope this JawSome Valentine’s Day party inspires you to think outside the box and create un-traditional parties for Valentine’s Day. In Shark Week, Valentine's Day. Bookmark the permalink. Such a cute party! I love the banner and adopt the shark station. Liam loves it too!